Alex may seem like a quiet, shy boy, but he secretly wrestles with big ideas inside his head. 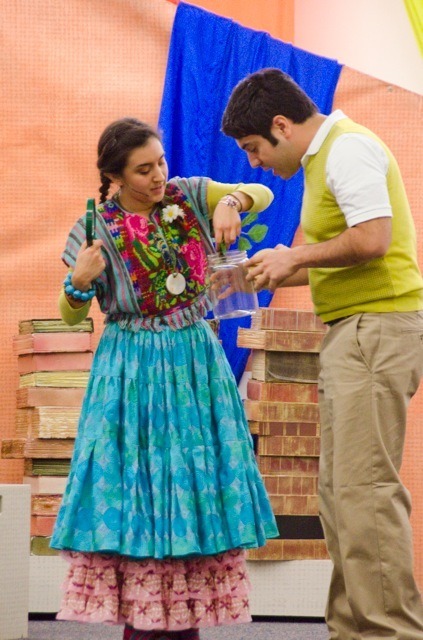 His life changes when he meets brave and colorful Frida, an unusual girl who gets him to reveal his secret dreams. Forced into an unlikely partnership, the pair discover how dreams can become a reality with the right friend by your side. 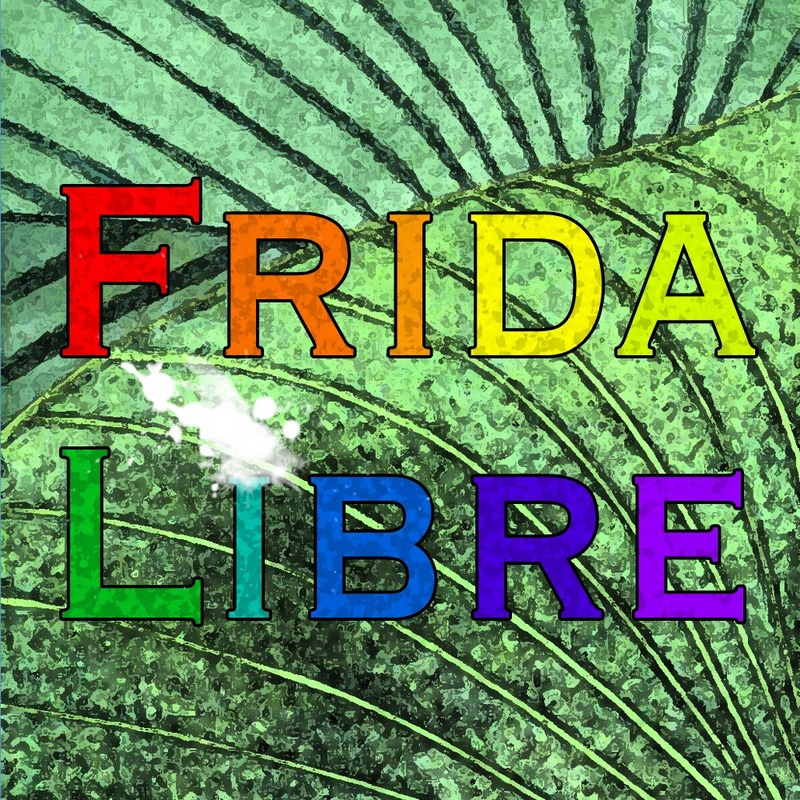 Frida Libre is an uplifting story featuring delightful original songs which explore the meaning of transformation, understanding and acceptance. 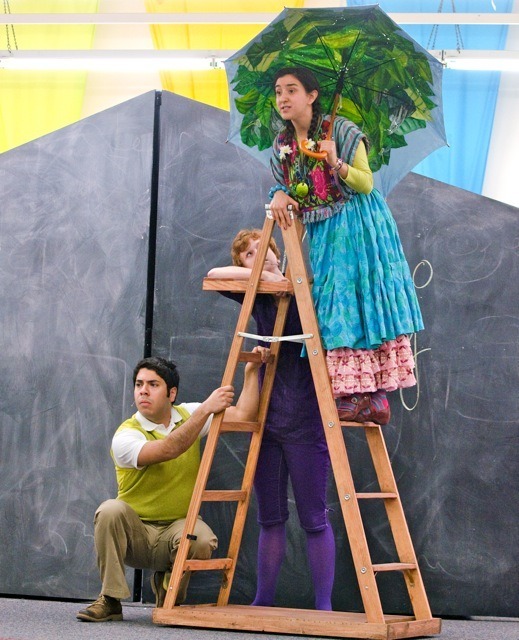 Frida Libre was commissioned and premiered at La Jolla Playhouse, CA as their 2011 Pop Tour, under the direction of Rosemary Newcott. 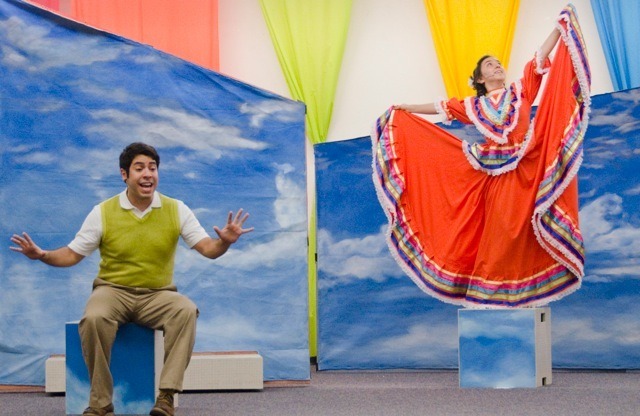 After touring for 9 weeks around San Diego schools, being seen by over 17,000 children, it returned to the La Jolla playhouse for a weekend of sold out performances. Audio demo features the voice talents of Camden Gonzales (Frida), Steve Limones (Alex), Scott Graff and the composer. ALEX – a shy quiet boy with lots of imagination. FRIDA – a colorful girl with lots of imagination. 2 ACTORS – who morph and transform to help the story along. Music: Lyrical Latin score. Accompaniment tracks available. Featuring the voice talents of Camden Gonzales (Frida), Steve Limones (Alex), Scott Graff and the composer.